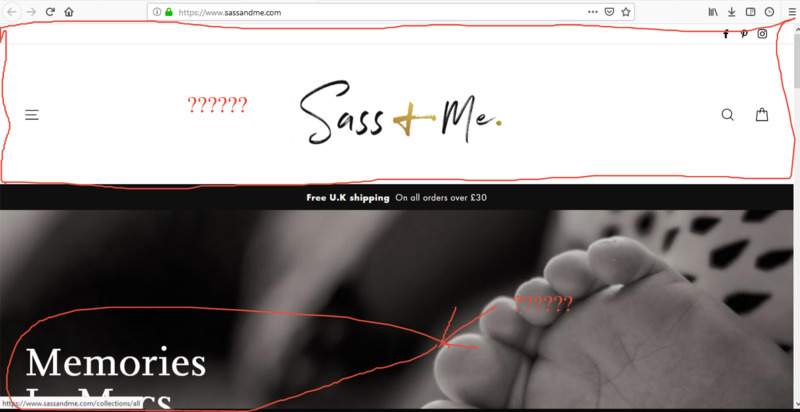 Could you take a look at my new website www.sassandme.com we've been open 2 weeks with low sales but really high traffic, i know my product count is low i'm adding 3x more types in the next few weeks. Remove the immediate popup asking for email address. Make it on exit intent. Remove dynamic checkout buttons from your product page and make your add to cart button a bright color. Add trust seals below tour add to cart buttton. Add a logo to your checkout page. Observe this image https://snag.gy/qijp1E.jpg. Your banner images are not appeared properly. Remember user may not scroll down to see your store banner. Have you promoted your products through social media pages of your website? Am unable to find your website Instagram and Facebook links. 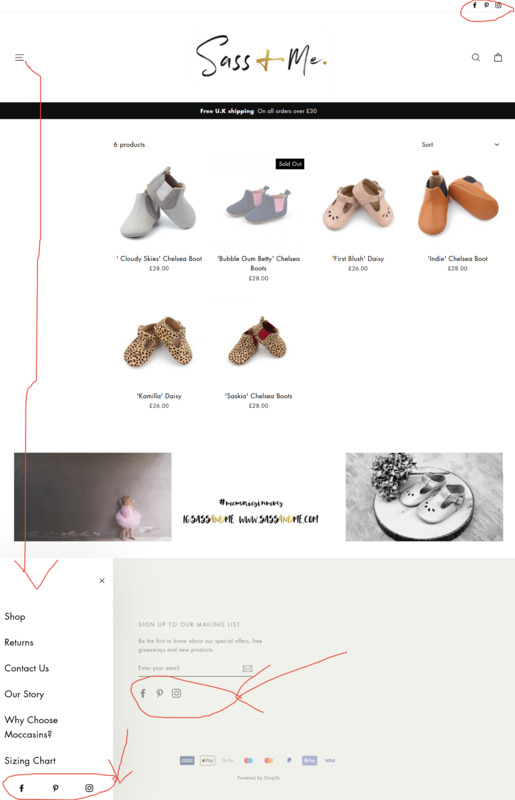 You have the social media icons under footer section those are shopify pages. I suggest you can promote your products through your pages and increase your followers and use #tags. And your store logo is large in size you can reduce little more. I suggest you can add blog page and regularly post your blogs(monthly 3 to 4 (or) 4 to 5). It helps for increasing of your SEO. And check this image https://snag.gy/eHuM7Q.jpg Why you have used 3-times of icons? I suggest you can use only one time. I thought my links were working as they are one way but no the other way so thanks for bringing that to my attention, we are gaining a following on instagram and have insta shopping tags also the link from instagram to the website works fine likewise from facebook to website works fine just not the other way around???? why would that be?